In search of a strong, expandable PC that won’t quit? 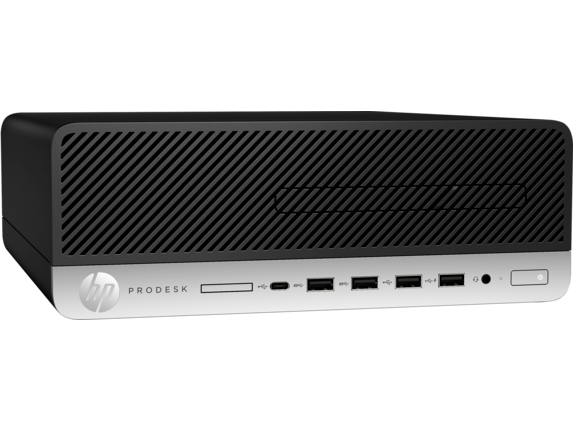 You won’t want for processing power with the HP ProDesk 600 G3 Small Form Factor PC with optional Intel® Optane™ memory. Complete with a 7th Generation Intel Core™ processor, this HP ProDesk 600 PC works just as hard as you do. Take advantage of the crisp visual quality afforded by the Intel HD Graphics 630 card and experience every presentation, movie, or triple-A (AAA) title the way it was meant to be seen. With 8GB of memory and 4 DIMM memory slots, this small form factor packs a powerful punch. Turn your PC into your one-stop-hub; a large number of ports make it easy to plug in an array of devices. 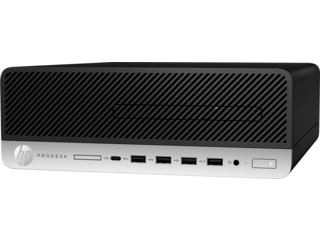 Designed to power the modern business, this expandable PC features flexible connectivity options, including two bays, two slots, two M.2 connectors, video ports, and legacy ports. With a total of 8 USB ports and optional Bluetooth connectivity, your PC will become the mastermind of your business processes. Looking for added power? 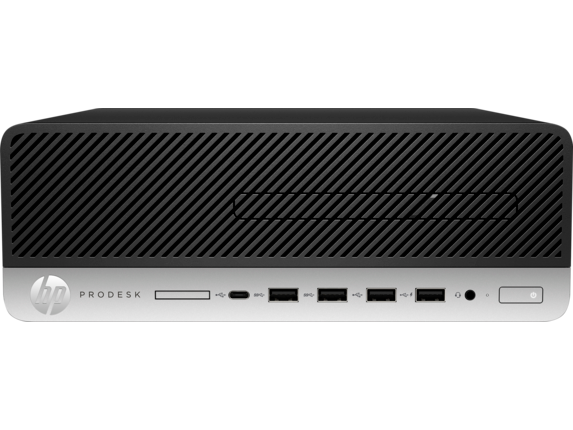 The customizable HP ProDesk 600 G3 Small Form Factor Desktop PC can be tailored to your daily processes. Start by selecting from an array of Windows operating systems, including Windows 10 Pro 64, Windows 10 Home 64, Windows 7 Professional 64 - and that’s just to start. When it comes to processing power, you can opt for as much or as little as you need. Stick to the Intel Celeron® G3900 Processor with Intel HD Graphics 510 card, or unleash the unmatched power of the Intel Core i7-7700 Processor Intel with an HD Graphics 630 card - and find plenty of processing options in between. If the HP ProDesk 600 G3 doesn’t have enough processing power, the HP ProDesk 600 G4 is a fantastic alternative. This hardworking desktop PC comes with an 8th Generation Intel Celeron processor in the baseline model. While this processor is quite powerful, there is always room for improvement, especially with a customizable PC. The HP ProDesk 600 G4 comes with an optional Intel Core i7-8700 Processor with 6 cores and Intel Ultra High Definition (UHD) graphics 630. Experience remarkable speeds and performance capabilities that result from the Intel Q370 Chipset. Consider boosting the RAM to 32GB or 64GB for even faster speeds and multitasking capabilities. If you need to store large data files and a myriad of applications, the 500GB HDD that comes with the HP ProDesk 600 G4 is capable of storing incredible amounts of data. Of course, you can take it a step further with a 1TB or 2TB hard drive. Consider adding a second internal storage unit with a 256GB solid state drive for even faster loading speeds. Plan to use this computer as your primary source of home entertainment? The HP ProDesk 600 G4 comes with an optional, ultra slim Blu-ray Drive. 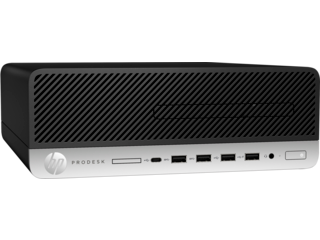 The HP ProDesk 600 series comes with a variety of exclusive security features. to safeguard sensitive business data. The HP BIOSphere Gen3 firmware installed in these PCs provides your data and computer with exceptional protection. The automatic updates and security locks that come with this security software will help prevent malicious malware from stealing secure information. If your computer is stolen or someone attempts to physically break in, HP Multi-factor Authentication will stop them dead in their tracks. Consider setting up a unique fingerprint or PIN in addition to soft security measures like password and facial recognition. HP Client Security Suite Gen3 comes with multi-factor authentication features like HP Device Access Manager, HP SpareKey, and HP Password Manager to lock down and protect your data. HP WorkWise allows you to conveniently connect your smartphone to your PC. With HP WorkWise, your phone will give you the ability to print and monitor performance information. If you need to use one of these high-powered desktops for IT management, consider deploying the HP Manageability Integration Kit in your setup. This built-in software will effectively manage your hardware, BIOS, and security through the Microsoft System Center Configuration Manager. Tired of slow loading speeds? Intel Optane memory will make your HDD run like a flash drive thanks to adaptable acceleration capabilities. The longer you use this innovative technology, the faster it becomes at adapting to your habits and uses. Improve the speeds that your computer transfers data, voice, and video content over LAN or WiFi networks with HP Velocity. Meeting with clients on video calls and sending files online will be buttery smooth, even with a slower connection, thanks to the added boost that HP Velocity provides. A high-performance desktop PC isn’t any good without a great monitor to go with. The HP 23ER 23-inch display comes with a Full High Definition (FHD) resolution and a 6ms gray to gray transition speed. Considering how much you get out of this monitor, it comes at an incredible value. Looking for a larger display? The HP 27ER 27-inch display is equipped with 2 HDMI ports and HDCP support. Its sleek metallic finish will perfectly pair with the design of the HP ProDesk 600 series desktop computers. If you want your PC to also double as an entertainment center to watch movies and play games, the HP Pavilion 32-inch display provides fantastic picture quality. With a Quad High Definition (QHD) resolution and a 7ms gray to gray speed, the HP Pavilion 32-inch display is perfect for any office or living room setup.